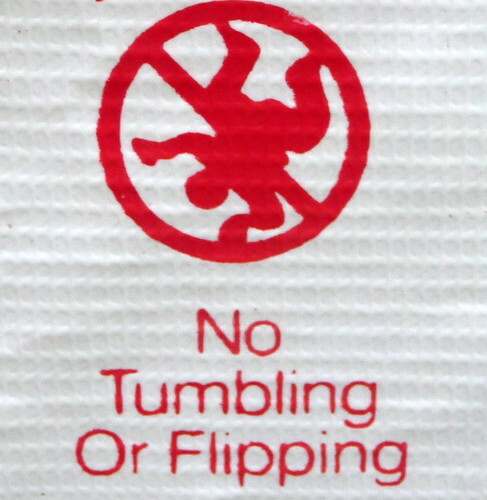 A Mattress You Cannot Flip? You were not asked, you were not given a choice, and you were told after all that most people don’t flip their mattresses anyway. You were never asked your opinion; they just took the two sided mattresses away, and gave you what many call an inferior product. A customer once said to me that the “No Flip Mattress should be called the Can’t Flip Mattress” after having replaced three in just as many years and having loved the name the “Can’t Flip Mattresses” I have used borrowed it every since. Two Sided Mattresses Going Extinct? While two may not yet be extinct they’re not in every mattress showroom and while they can be found here and there, it is rare to find them making their way into to your homes’ bedrooms. Once the primary way mattresses were made, today flippable mattresses are all but a memory. We thought we’d share a short list of companies that still build two sided mattresses. Although their retail distribution and selection is often very limited contacting one of these mattress manufacturers will get you heading the right direction. The Truth About Why Can’t You Flip New Mattresses? The industry says you won’t turn the mattress over anyway, they say the beds are improved, and they believe one sided mattresses are safer but is all of this true? Only you can answer the first question but wouldn’t you at least like to have the option? Quality One Sided Beds Really? This seems like a stretch for many to call one sided mattresses better than their predecessors but why? The fact is foam encased mattress perimeters have replaced high quality heavy gauge steel border rods and in some cases heavier gauge steel wire coil springs. Something else that seems to have gone the way of the Doo Doo Bird is heavy duty insulation. Insulation is used to protect padding from the coil chaffing and foam shredding and most importantly to stop foam and other padding from sagging into coils springs. Marketing, it’s all about the marketing. Today mattresses are thicker and more impressive visually, but the coil heights are still basically the same 6 inches they have always been with few exceptions. Let’s face it, piling up layer upon layer of foam till you have a mattress that is 12 inches an in many cases taller not only makes it hard to find sheets to fit but it is a recipe for body impressions, all you need to do is add the body. Mattresses Have Gone On A Diet? While many of us could afford to lose a few pounds that is something we cannot afford for our mattresses to do. While giving up pounds in a mattress may seem like a good thing for those that have problems flipping or may not be able to turn a mattress over the new diet one sided mattresses have gone on means losing steel one of the strongest building materials in the world. Mattress builders have opted to replace quality steel with cheaper polyurethane foam and since we’re talking about foam it’s important to note that mattress companies have compromised the quality of the foam used in your mattress by injecting more air making the foam less dense, weaker, more light weight and oh yeah cheaper. While it is true they may pass burn tests can we survive the chemicals that are often being used to help meet the new federal safety requirements it is a very debatable decide for yourself in an article we wrote a while back called Afraid of your mattress? So Is The Can’t Flip Mattress A Must Buy? We have had our Tempur-Pedic mattresses for about 4 years now and they both have sagged in the middle and will not return to a flat surface and give you the support that we expected. I am not sure I would recommend one unless you don’t mind buying a new one every three years. We have one of the “no flip mattresses” and it is awful. It has developed a lump in the center. I figure that is because the material has moved into the middle from where my husband and I have indented the portion we sleep on. We get up with our bodies hurting every day but can’t afford to replace the mattress. I turn the mattress around from time to time but I don’t see that does much good. No way would I ever buy another of these “no flip mattresses”. We weren’t told, at the store, that the mattress couldn’t be turned over. I discovered that problem when I wanted to flip the mattress. Next time I will definitely ask. My husband and I have slept on waterbeds for 43 years. In three weeks we will be having a hardwood floor put down and have to drain the bed. Normally I would go out and get a new water bag (they usually spring a leak about every 8 years.) Recently, however, we have had some condensation problems on the top of the water bags (right under where we sleep) and I am trying very hard to get this problem solved (water bed heater, fewer top pads, etc.) This is the first time we have ever shopped for traditional mattresses (other than our guest room) and we are shocked at what we are seeing! First of all, a decent quality mattress today costs $4,000-$5,000! Some of our friends tell us they go through a new mattress every two or three years! Secondly, mattresses cannot be flipped over, only rotated. Only one place in our area has 2 sided mattresses. All the other places say, ” Oh, they stopped doing that 10 years ago. Nobody carries them anymore.” I mention that many of my friends complain that when they rotate their mattresses end for end, they are just trading their body depression in the mattress, for their partner’s. The sales people become defensive and say, “Well that’s the way mattresses are made today.” Implied is, take it or leave it. Well, I am not taking it, I am leaving it. If I can’t find a way to fix the water bed condensation problem, We are going to the one store in 200 miles that sells two sided beds. We’re going to get one that we have already tried, and can live with quite nicely (made of real latex out of trees, not out of chemicals.) So there!! Moral of the story. Track down a place that sells real mattresses that you can flip over. Do not accept the false information that most mattress stores are going to try to feed you. I flipped them anyway, I have two different brands. One said I couldn’t do it because it has a pillow top. It worked. It’s total BS designed to have you buying a new mattress sooner. So my question is, I have a temperpedic mattress, about 8.5 years old and it has started to slightly dip where we lay. What will happen if we flip the mattress over even tho they tell you not to? Roberta, Think of the way a house is built from the ground up. Can the memory foam mattress pad be switched from top to bottom with good results? It seems like the bottom part is used less (unlike the top where most of our body lies) and maybe, if it were switched it would seem like a new one? Does this make sense? And, would it work? You can absolutely flip a tempeupedic mattress without any problems. Even if it has a pillowtop. Even if tempurpedic and your salesman tell you that you can’t… just do it. It won’t break, it wont fall apart, and it wont explode. The other side might be firmer, thats it. Douglas is just here to feed you the same BS as the other stores and make you feel stupid while doing so. He knows better than most that nothing bad will happen when you flip a tempurpedic, yet he still advises against it. Could he be trying to sell you a new mattress? Robert, of course my personal business is to sell mattresses, I am not here to debate that and won’t. I will say, we are on the Internet, a huge platform that gives people like yourself a screen to shelter themselves and make unfair, unjust comments, question a persons integrity, and yes even their motives as you have. Not that I owe you a reply, but I do feel obligated after 30 years of being blessed with a successful business to give back with some free useful advice to former customers, future customers and even those who may not do business with STL Beds. The fact is I do not sell Tempurpedic anymore and haven’t for over 10 years. I will share this with you sir, if the manufacturer tells you cannot flip and you want them to stand behind the warranty, well then you best follow “their guidelines” if you want to exercise said warranty. While you sensationalize how the mattress may fall apart, break, or explode and fail the the rest of us realize that is not what really happens. Instead you have chosen a path to make me belittle me and make me look ridiculous and of course that is not the way a mattress will fail. What will happen, your softer materials will become the base support that they are not designed to be. The now firm top layer will sag from the now softer base support over time, which is likely not going to take very long to wear out. Understand this, the support the bed was originally designed to offer is resembled in no way shape or form by flipping the mattress over and using the other side. The engineers that design and build mattresses would likely agree with me that this hodgepodge of layers would ultimately lead to cruddy support and reduced comfort. In a memory foam mattress, such as tempurpedic, isn’t it one big piece of foam? Or, are you saying that the manufacturer changes the density from the top to bottom? I’m not expert; however, the only difference with mine seems to be the cover. Bottom side has different materials cobover versus top and sides. Possibly flipping to bottom side could matter with body temperature when asleep. I am also of the opinion that anything that any mattress is going to break down over time. I just reversed, head to foot, and will see how that is tonight. I’m not seeing deterioration however, just like rotating tires, I see this is necessary. I read all these comments and am still confused. My Tempur is sagging and not providing the back support it did. I know flipping is not recommended but can it be rotated? Thanks for all your answers. Kinda thought it was going to end this way. Very disappointed in the Tempurpedic mattress we have, paid a lot of money for a hump in the middle that came quicker than what we were told when purchased (which was it was never going to happen). My wife and I are not big people 5′ 2″ 125lb & 5’6″ 165lbs. This really is sad! We take pride in keeping a very nice decorated home and after the bed is made with all the top of the line bedding the HUMP in the middle stands out like a mountain. The comfort is still there but the showroom look is definitely NOT! Really need to research before we purchase the next bed. Need help. A few years ago we bought a new mattress with the help and guidance from the stores expert -from his advice we purchased a very expensive firm mattress which turned out so uncomfortable that after two years had to change it – again took the advice and guidance from the store’s expert (different store) and he sold us a memory foam topped mattress (no flip one) it is again so uncomfortable as it is so soft – haven’t a decent night sleep since purchased – we really can not afford to buy again and flipping it is not an option – can a topper really make any difference?